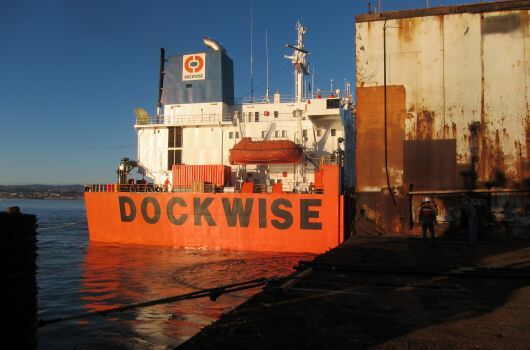 To transport the old and decommsioned San Francisco Dry Dock #1 from San Francisco to a scrapyard in China, the Dockwise owned and operated semi-submersible heavy-lift ship TERN was used. The 408 ft long dry dock was surveyed and its residual strenght assessed. 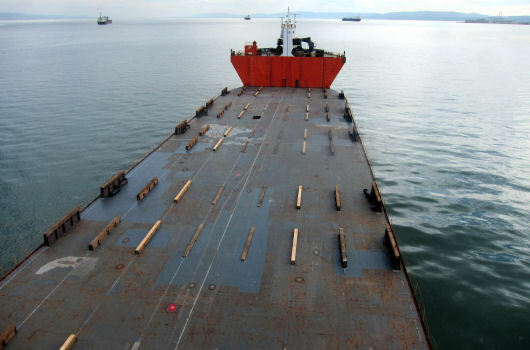 Dry transport was deemed feasibile on the TERN with its 415 ft long cargo deck. 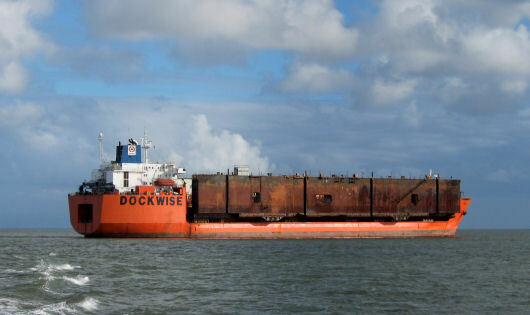 Late October 2014, the dry dock was towed from its storage berth at the Port of San Francisco with 4 local tugs and floated over the submersed TERN at the nearby deep water anchorage. 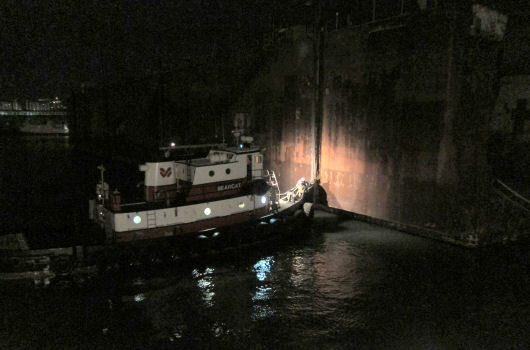 After careful positioning of the dry dock, the TERN was deballasted and the dry dock lifted out of the water. 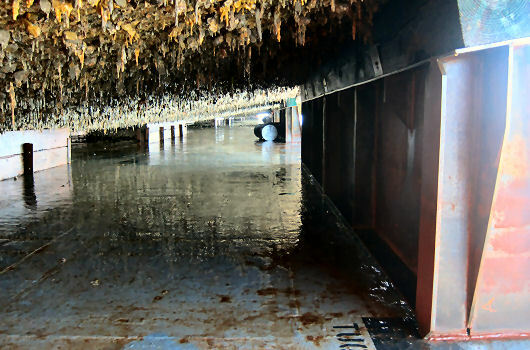 The cribbing was inspected and the seafastening operation started. After final inspection of all the seafastenings, the transport approval certificate was issued and the TERN departed with destination Zhoushan, China. Issue transport approval certificate after final inspection.